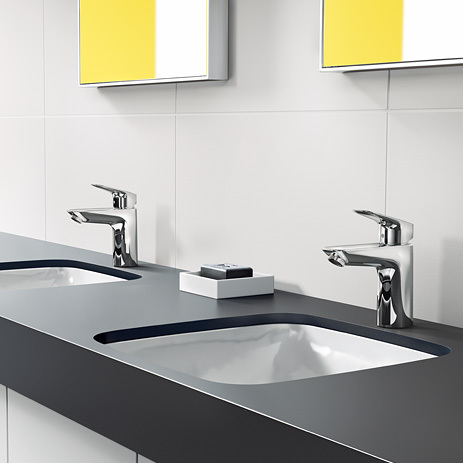 You will attract lots of customers with Logis, because this hansgrohe range is suitable for all kinds of installation scenarios and residential environments. The products blend in particularly well with modern basins – ideal for both two-dimensional and smooth-edged bathroom ceramics. 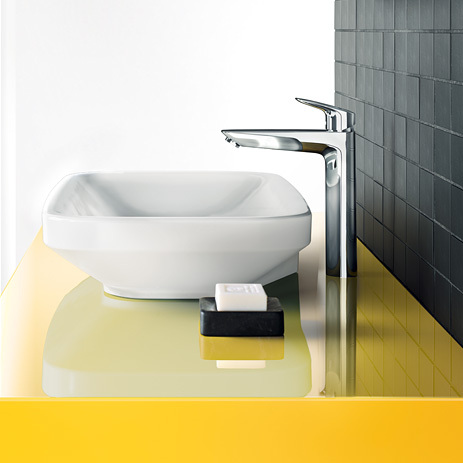 Their delicately curved surfaces and clean lines make Logis mixers a design highlight, for bath tubs and showers too. They are easy on the eye and pleasant to the touch, and the open shape of the handle really entices you to grasp it. Hansgrohe collaborated with Phoenix Design to come up with this distinctive design. The complete, comprehensive range for the ComfortZone. 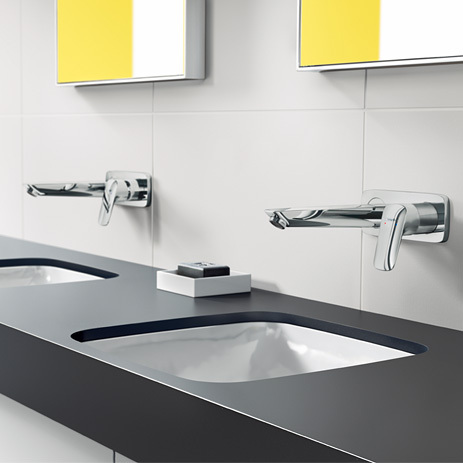 hansgrohe offers Logis in different spout heights and variants: 2-handle or 3-hole mixer. 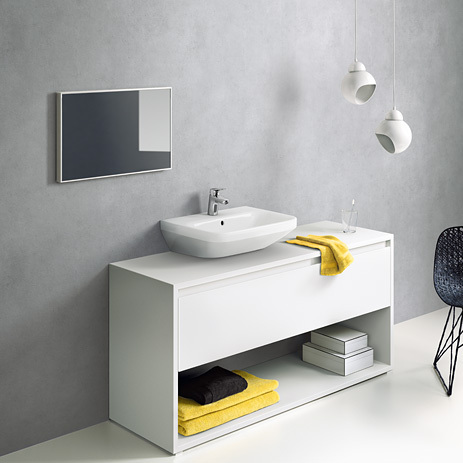 Particularly eye-catching: Logis for wall mounting. 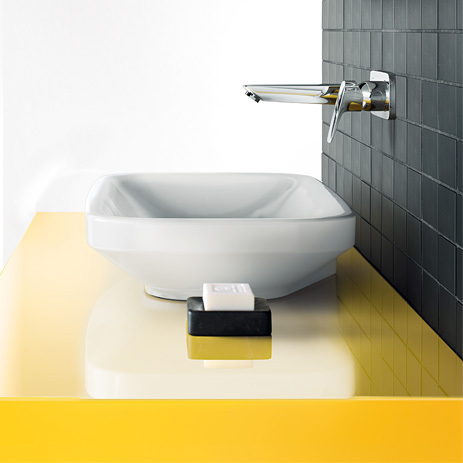 With their distinctive design and implicit comfort, Logis mixers are also impressive in the bath tub and shower. 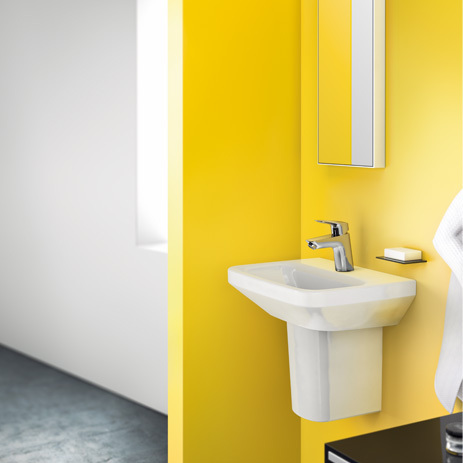 Available in a wide range of exposed and concealed installation variants. Logis mixers conserve resources: with a water volume restriction of 5 litres/minute thanks to EcoSmart, aeration with AirPower and CoolStart technology.